We may be on the brink of an innovative hearing loss cure. Although curing hearing loss appears to be an unlikely novelty, there’s actually serious, hard science behind the claim. Hearing Loss Among Adults in the U.S. Hearing loss can be devastating. Anyone with a loved one suffering from serious hearing loss knows that managing hearing loss in seniors isn’t simple, and poor memory can be a nightmare. Unfortunately, it is also very prevalent among adults in the U.S. In Delaware, for example, the percent of adults age 18 and up with any hearing loss during 2014-2016 was 14.3, according to the National Health Interview Survey. Similarly, Virginia came in with 14 percent for the same time period. Maryland had lower numbers but nothing to celebrate about – 11 percent. The state with the highest percentage of adults with hearing loss between these years was West Virginia with a whopping 24.7 percent. And the District of Columbia with 8.6 percent was lower than any other American state. 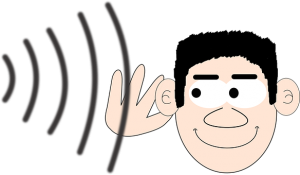 Hearing loss is an even greater concern among older adults. The Delaware Speech and Hearing Center considers it “the third most common, serious health condition at this stage in life,” and estimates that there are 7,351 adults age 65 and older with hearing loss in Delaware. In their groundbreaking study, the researchers found a way to regrow sensory hair cells in mice. While many mammals including vertebrates naturally regenerate these cochlear hair cells, mammals do not. They, therefore, targeted these cells, successfully activating the relevant cells in mice using three different methods. The new hair cells also integrated with the mice’s nerve cells, a necessary component for hearing. Thankfully, the test was a success, and the future will tell if this can be applied to human hearing loss. While they need more research before they can test they hypothesis on humans, things are sounding good.